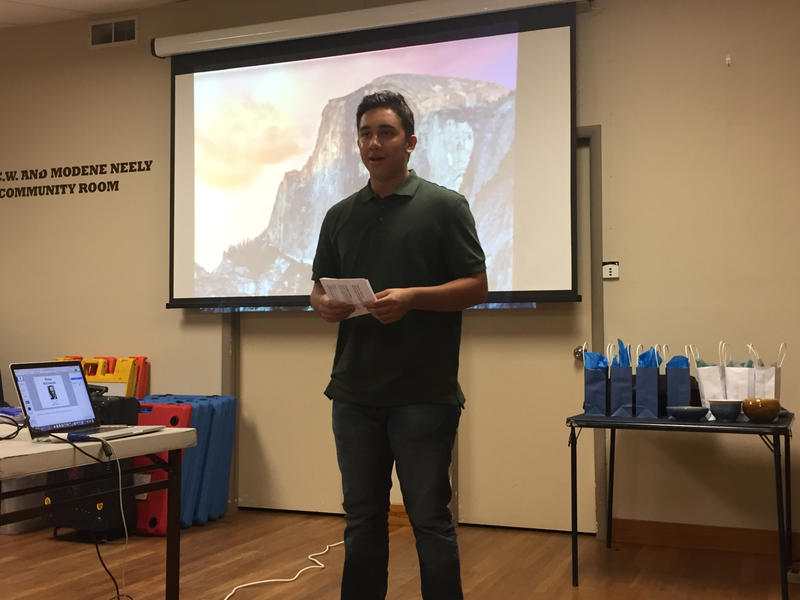 Twenty-year-old Chandler-Gilbert Community College Pecos Campus student, Matheu Gonzales, is using history to take service-learning to new heights. Through his projects, Mr. Gonzales’ “service” is to create and preserve awareness of important historical people and events. 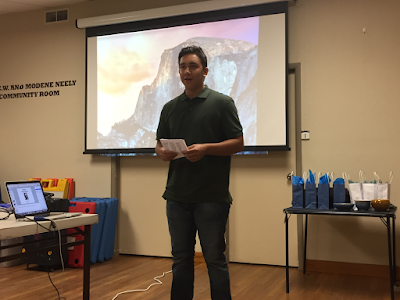 This impressive pursuit, its results and Mr. Gonzales’ account of his experience are vivid examples of the impact that service-learning can have on the student as well as society. We had the opportunity to discuss with Mr. Gonzales what history, service learning and these projects have meant to him. Connection: Your service learning projects are getting a lot of attention. Would you describe them to us? Gonzales: My service learning topics included a biography of a man who played a part on making the Mexican School in Gilbert matter to the kids who attended the school. The man was Wayne McFrederick, he had no official biography until I was assigned to craft one for him. Connections: Fascinating! How did you go about unearthing all the biographical information? Gonzales: During this project I needed to work as a detective. With no formal information laid out in a single document I had to constantly research, send emails and letters to people who may know any information on Mr. McFrederick. It was a challenge, I began my research at the Gilbert Historical Museum. There I flipped through newspapers from the 1930’s on up. I moved onto data bases finding a little more than what the papers offered. I could not even find an obituary, or the actual day he had died. Little by little, the information came and thankfully I was blessed to have received his obituary from a library in California, where he had moved and later died. I could not have found this without guidance and support from my mentor Danette Turner or the Gilbert Historical Museum which graciously allowed me to add to their collection of Gilbert History. Connections: What has this project meant to you? Connections: What about your other project? Can you share a little about that? Gonzales: My second project was scanning World War II pictures for the East Valley Jewish Society. During this I had to be very delicate with the photos. I wore surgical gloves to avoid damaging the photos with the oils of my hands. Connections: Handling historical photos is not something most history students get to do. What all did you see in these photos? Gonzales: I was able to see a theatre of war, as well what made World War II so infamous, pictures of the Holocaust. These pictures were taken by the United States Army themselves, they included more pictures of the horrid Holocaust. After scanning these images, I was later told that they were traced back to the Monuments Men expedition. The expedition goal was to reclaim art, and history that the Nazis had stolen and were to be destroyed if Hitler lost the war. Hollywood made a major motion picture of the story, I am thrilled that I was somewhat a part of all of that…even if it only meant scanning the photos to my computer. Connections: Wow, it must feel exciting to be a part of such magnificent history. What did you learn throughout this experience? Gonzales: Doing this project had shed some light on everything that I have learned about World War II. It allowed me to see the war through a soldier’s point of view. It also made me aware of the tragic reality that some historians claim the Holocaust never happened. Pictures are a solid way of proving that it did; in a court of law it is said “It is not what you know, it is what you can prove in court” and I believe that’s a rule that is constantly followed in society. Connections: Where can fellow students and members of the community see your work? Gonzales: Finishing this project will allow the East Valley Jewish Society, Chandler-Gilbert Community College and Mesa Community College to create an exhibit with the photos I scanned. I am very proud to know that my name will be associated with this exhibit. Connections: Clearly your passion is history and historical research. Can you share why? Gonzales: Text books that students are assigned to read starting in high school are worded in a way that the author wants you to think about the subject…bad or good. Researching raw information allows for an unbiased way of thinking, allowing you to take the information in and form your own opinion. History can be swayed easily to a view someone wants you to see. Historical research also preserves what should not be forgotten, the Holocaust and World War II, and brings to light pieces of history that should not live in the shadows, Wayne McFrederick. Connections: After this rich experience, what is your perspective on service-learning? Gonzales: At the start of service-learning I had no idea that it existed or what it was. I now know what it is as well as how important it is not just to a history student but to every student. It allows you to gain valuable experience in the field in which you are majoring. I am grateful for service learning and the opportunities it has led to for me and can lead to for anyone.